I know I have made Sambar Sadam in many different ways. Yet I couldn’t stop myself from making it in Microwave! Though I won’t say it was a breezy one in terms of time. 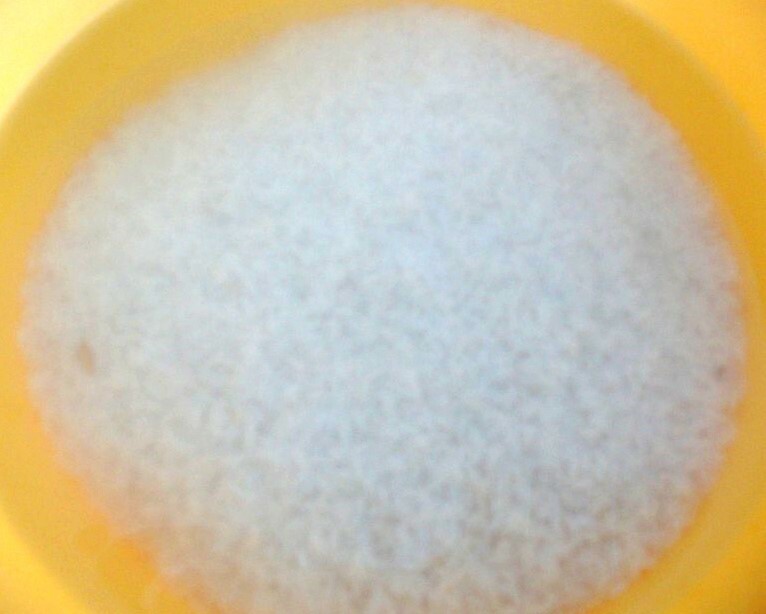 Anytime making this rice in Pressure Cooker gets thumbs up. But making Sambar Rice in Microwave sure has its advantage. I finally found that one can get lot of things done while the rice gets cooked safely in the Oven. You need not fret over the fact that water from the cooker gets drained out. Or that you got to keep standing next to it to ensure it doesn’t get burnt. Not that I am saying it will. But on the chances of course. Else you can see yourself painting, doing that much needed exercise or even just sleeping! I am not saying I did all these but saying I could do all these things. Yesterday being a Sunday, I again had loads of dishes done. Much to my own amusement, did quite a few of them in Microwave! Well I am sure I am going to be told never to cook again in a microwave. Sunday was quite fun. We started the day with power outage which lasted for 4 hours. One plus point was the fact that kids actually thought of some games to play rather than the usual TV. Lunch was vegetarian, so made Pappu Chaaru with Beans Parupu Usli. What was different was the fact that I made the Parupu Usli in Microwave! Well I know I know, you will surely get to read about it. 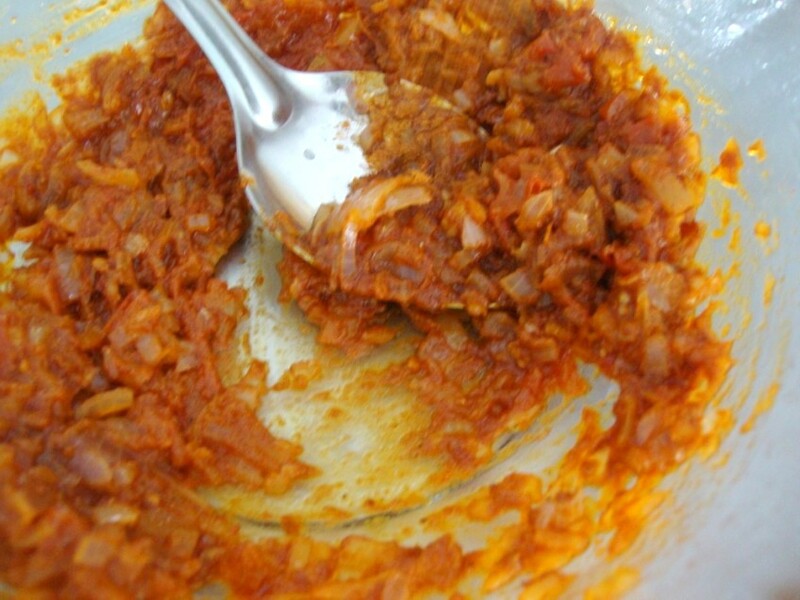 Then I made Carrot Halwa as I had invited a friend for dinner. Kids had a major fun time with my friend. By the time we slept it was well way beyond our usual time. Cooking Method: Microwave mode, default setting. Coming to the Sambar Rice that was made in the Microwave, lets see in step by step method. 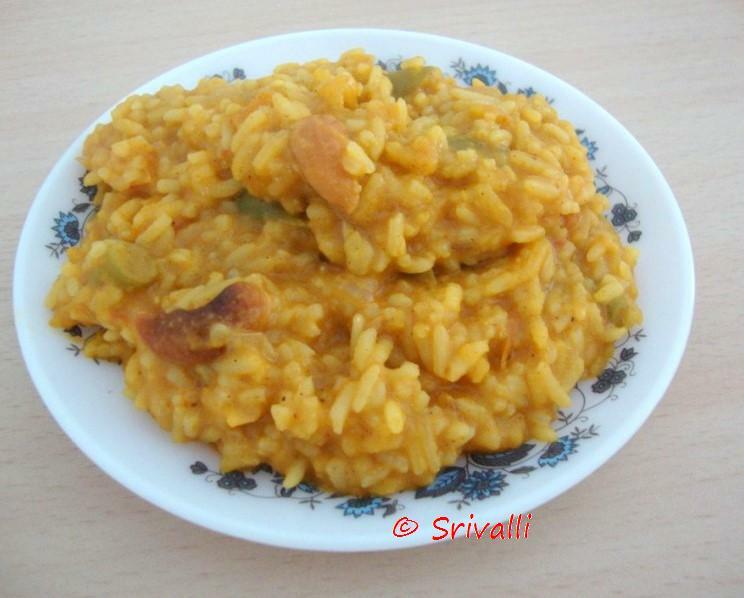 Cooking Toor dal is quite difficult as it is very hard. So to easy the process, you can wash and soak it in hot water. For that micro 2 glasses of water for 3 mins, soak the toor dal in the hot water with lid covered for 10 mins. Else this might take about 20 – 25 mins of micro cooking. Using a ladle, mash the dal well. 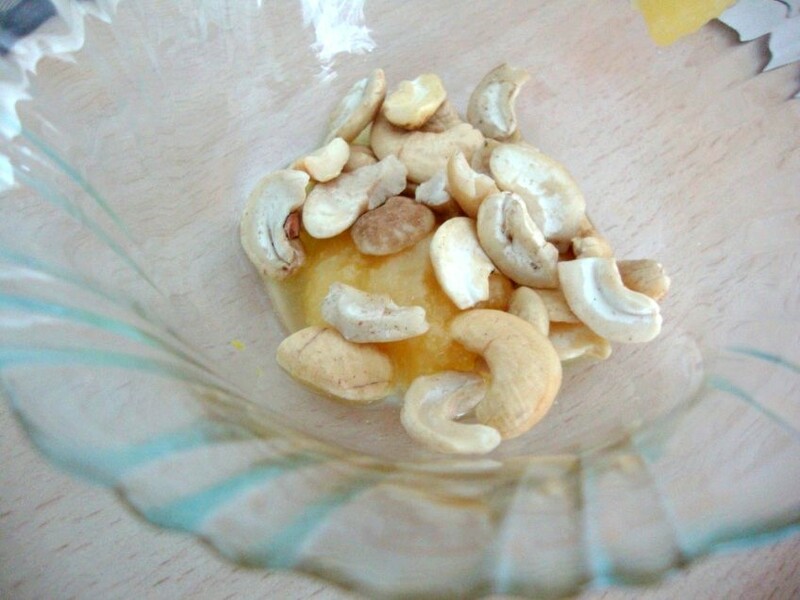 Roast the cashews in 1 tsp of ghee. 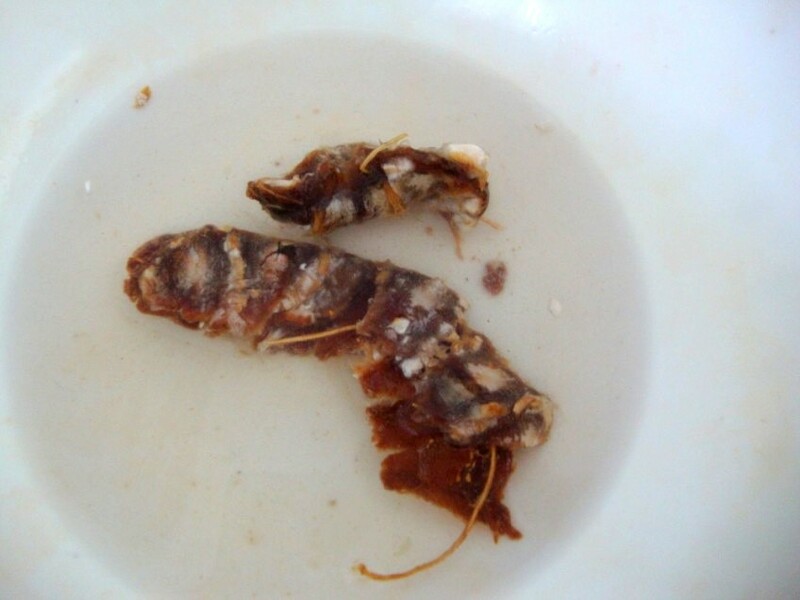 Soak the tamarind for extracting the pulp, else you can use if you have already prepared ahead. 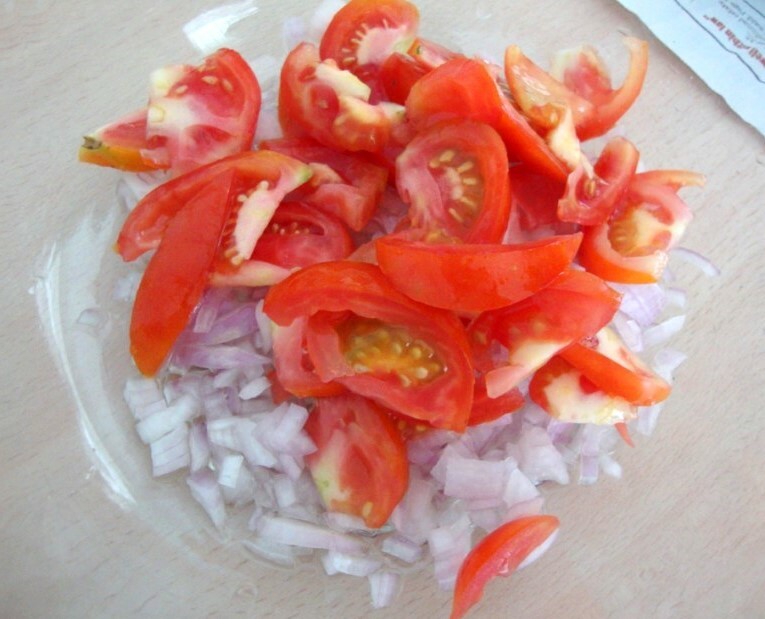 After doing the curry leaves, add the onions, tomatoes together. Micro for 5 mins. Then goes the Sambar powder. Mix well and again micro for 2 min. Add the chopped vegetables, micro again for 5 mins. Sprinkle some water for the vegetables to get steamed. 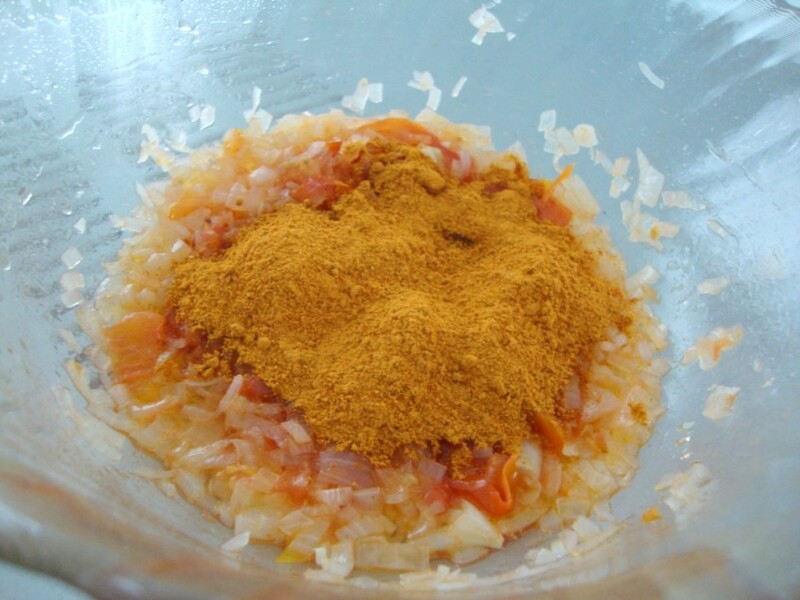 Mix the dal and soaked rice together. Pour the cooked vegetable masala to the rice bowl. Add 6 cups of water. Stir well and micro for 30 mins. In the intervals of 10 mins, stop and stir well. This step is not really mandatory, you can stir in between 15 mins. But it ensures the rice is cooked well. Check if the water is enough and the rice is getting cooked. Stir again and keep it back! At this stage it looked it needed some water, so added it. Add the remaining cup of water. Add more if it is required. At this stage when the rice looks well cooked, add the tamarind extract, salt and fried Cashews. 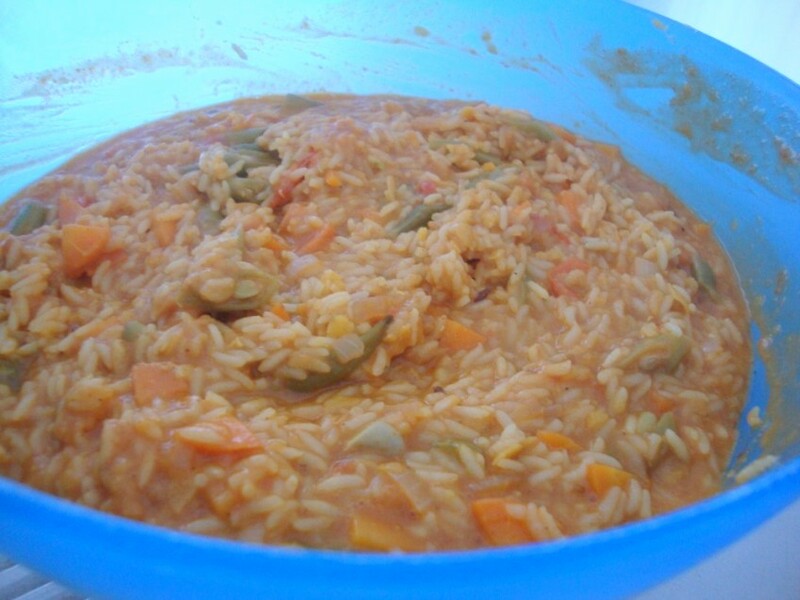 End of 30 – 40 mins, the rice is really well done. In a microwave safe bowl, take the oil along with mustard, curry leaves, micro for 1 min. 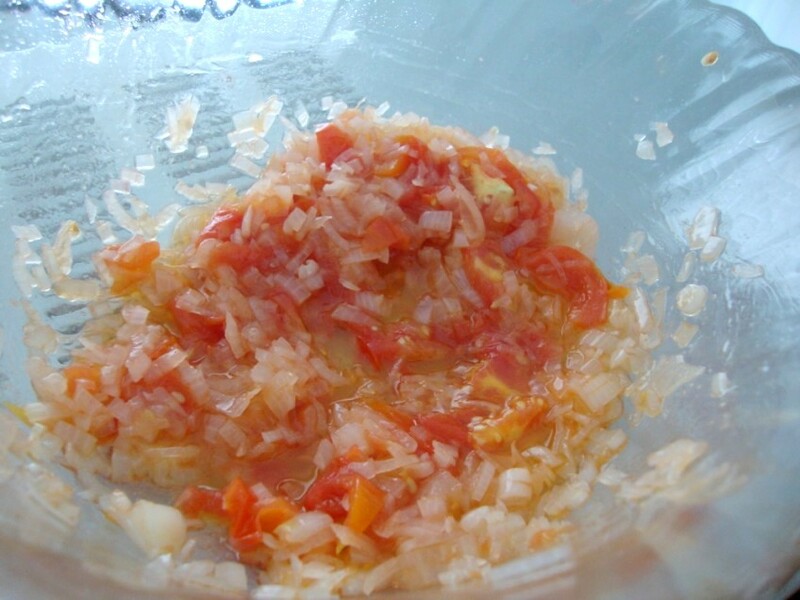 Then add the onions, tomatoes together. Micro for 5 mins. 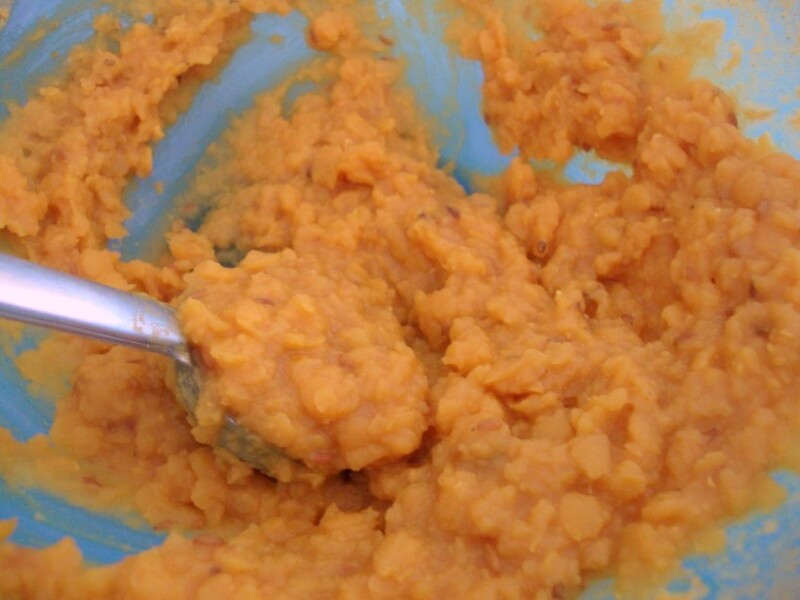 The tomatoes will be nicely mashed. Add the chopped vegetables, micro again for 5 mins. With the moisture that is already in the bowl, the vegetables will get steamed. Then goes the Sambar powder. Mix well and again micro for 2 min. At this stage when the rice looks well cooked, add the tamarind extract, salt and fried Cashews. Add the remaining cup of water. Add more if it is required. Notes: When cooking with Toor dal, always make sure you soak in hot water for best results and quick cooking. 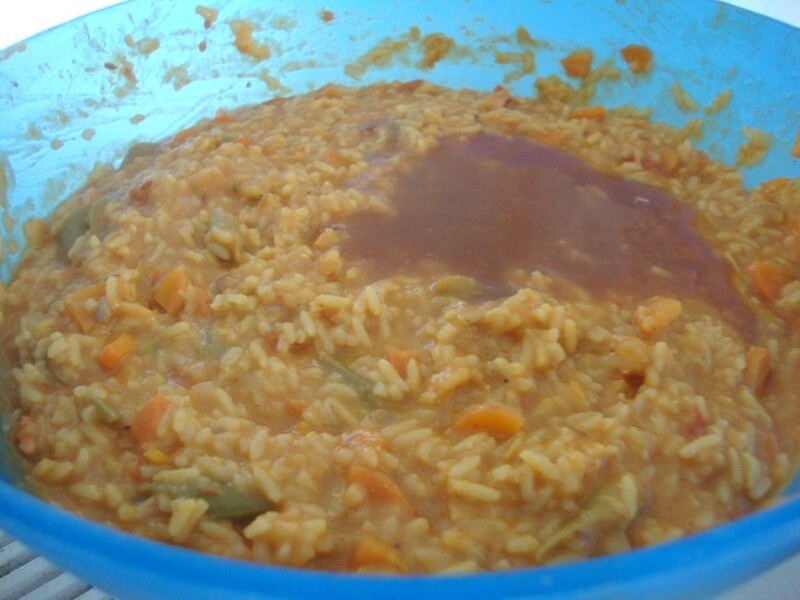 Sambar Rice is supposed to be very gooey, so adding more water is expected. This also ensures that the rice is well cooked. 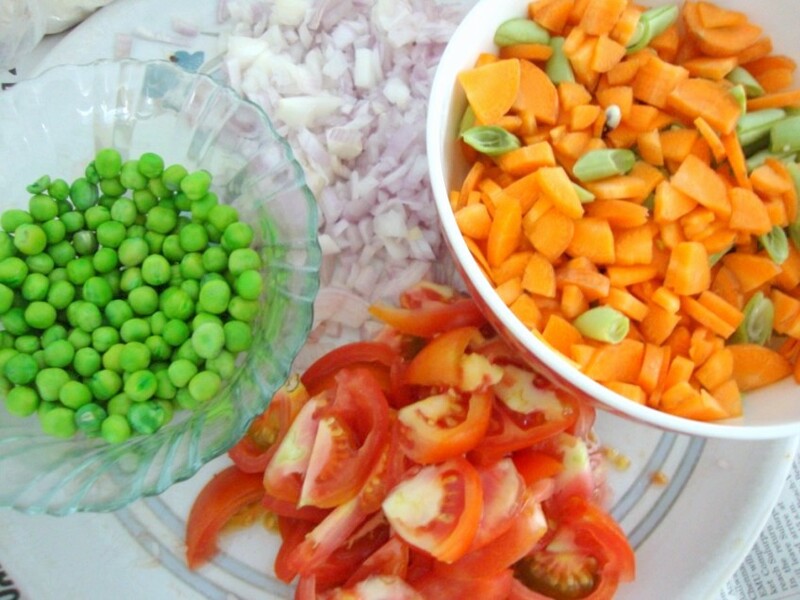 I have added only few vegetables, you can add as per your preference. 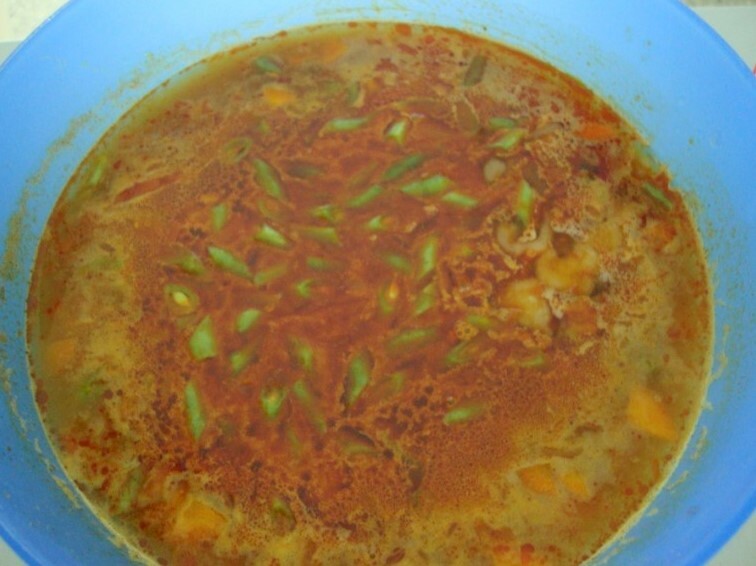 This is simpler way of making Bisi Bela Bath, of course I can’t claim this is anyway close to the taste that you get from that. But for a simpler taste you can settle for this. 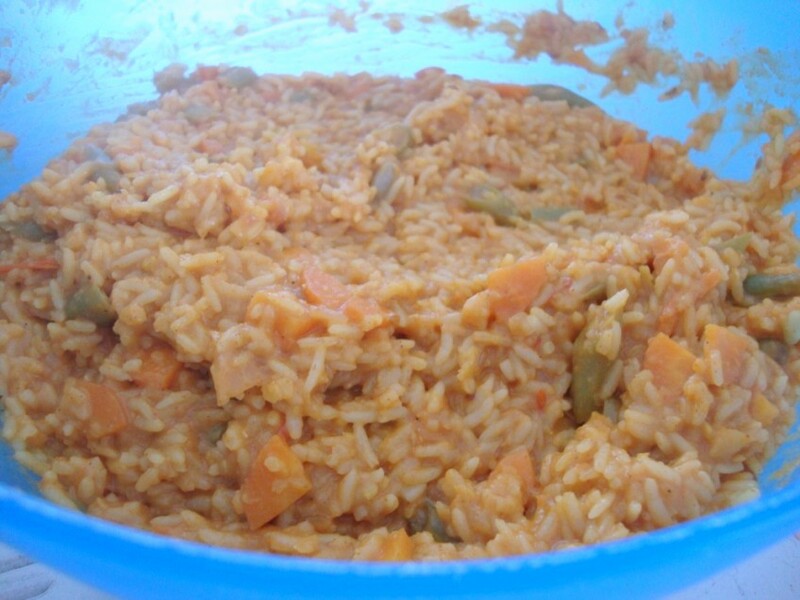 Check out my other Sambar Rice that was cooked in Pressure Cooker. Well I have one Rice Cooker method too, which might surface sometime. And also I am clueless on what new thing I should prepare. If you have something in mind, ask away! Until next time, which would be a sweet dwelling, have a great week ahead! Sending this to PJ who is hosting my MEC event this month themed on our Favorites! Sending this to Susan’s My Legume Love Affair, one of my favorite event, hosted by Siri this month. arrey wah, great one ! 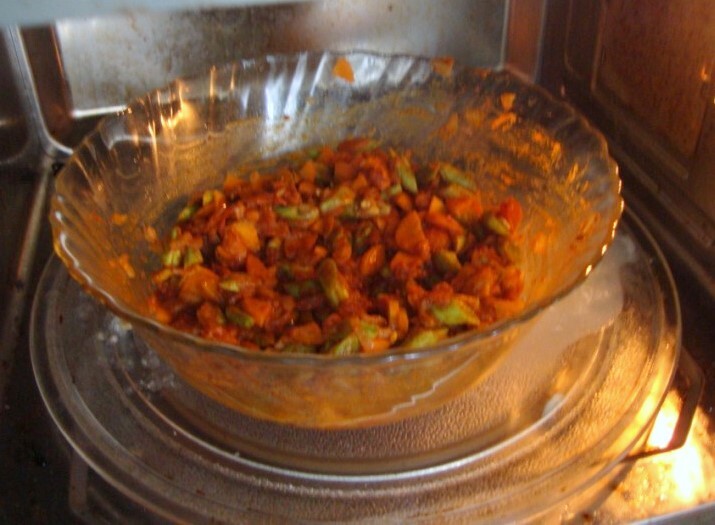 making it in microwave makes it sound a must make dish :)…thanks for sharing srivalli ! wonderful recipe Srivalli, beautiful step by step pics. 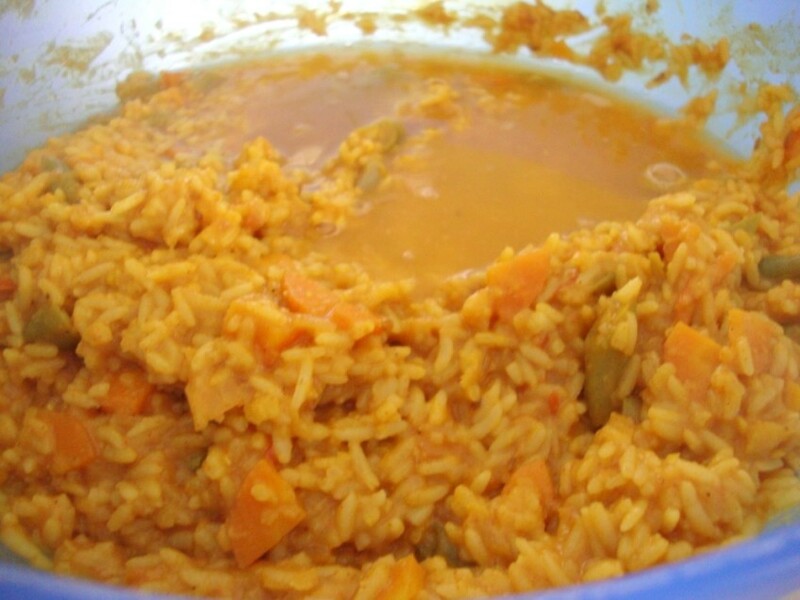 sambar rice looks awesome n tempting …very detailed explanation ..never made this in microwave ,it will surely help me …its a gr8 post ..
i am new to ur blog …u r having a gr8 collection of recipes .. 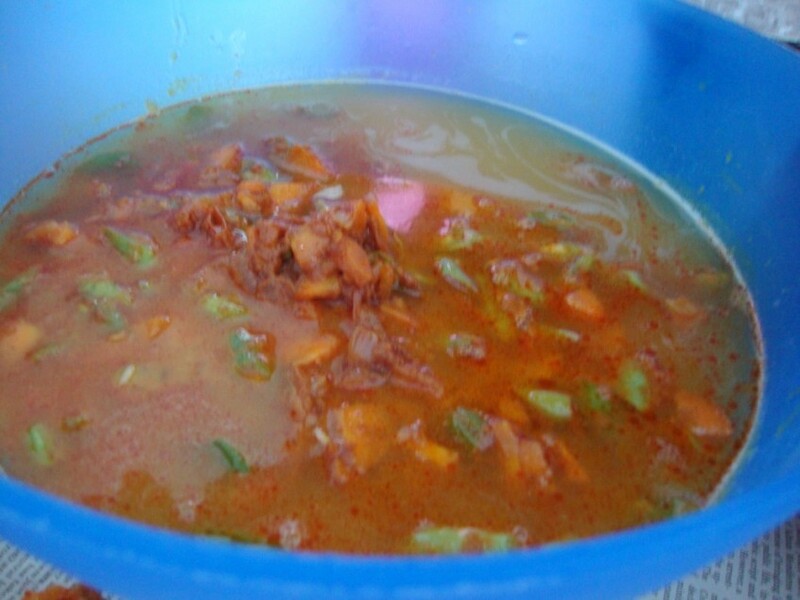 Very comforting food, yummy love it much..
Yum..looks good.I have never made sambar sadam before,in mw or otherwise.This one looks try-able.Good to see that you are using your mw to the full limits,heheh. Sri valli,what ae step by step demo ,for a all time favourite bissi bille bhath..
Valli, you are indeed using ur MW to the full. AS you said, though pressure cooker is the easiest method, you have shown that it is doable in MW. Good job Valli, with the step-by-step pics. Nice post,this will benefit many for sure! Your amazing Valli. I should call you MW Queen!! 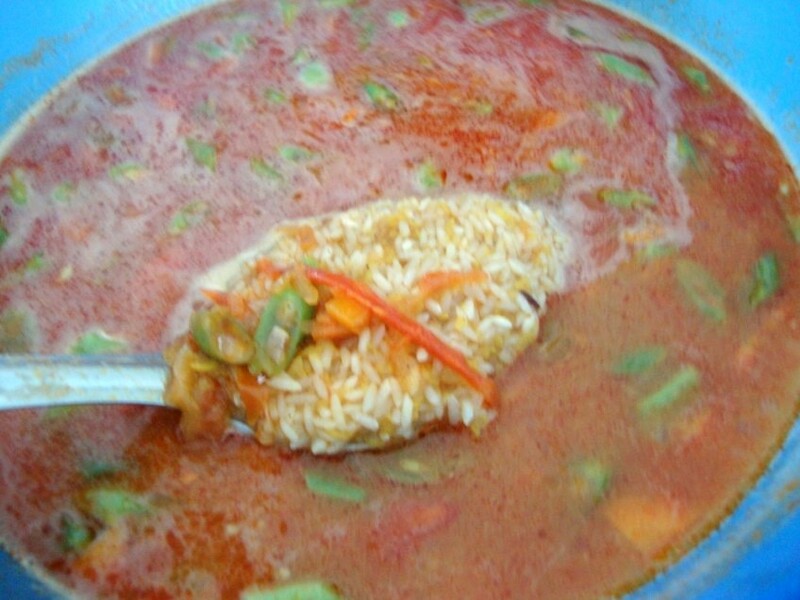 Sambar rice looks so tempting. Nice step by step pics. Love sambar Sadham Srivalli.I have never tried in MW coz I usually put everthing in the pressure cooker .Must try this too. To cook toor dal,I tie the dal in a wet towel for 10 minutes and then powder very coarsely,MW with enough water and dal is cooked. You know valli i have never made sambar rice at home. I know it is really famous in Tamil Nadu, i think i should try them once when i am alone for lunch in the MW method.